We are a group of local volunteers working to protect our environment and live sustainably. We promote local walking, local shopping, care for historic places as well as becoming energy efficient, use of renewable energy and care of water & air resources. Meet with Public Officials, Block Clubs and Faith Groups to find mutual areas of interest for future action. Your Role - What Can You Do? Examine your home-make it energy efficient: insulate, use LED lighting; & energy efficient appliances. Convert to renewable energy sources. Walk whenever possible, bike when you can and shop locally. 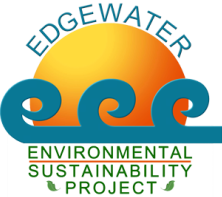 Join us for Go Edgewater bike and walking tours to learn more about your neighborhood and its rich resources and history. Participate in our community's activities planting parkways, greening parks and expanding the tree canopy. Engage in political action to reduce greenhouse gas emissions from all sources - your health depends on it.